Acacia Magnet School for Enriched Learning is excited to be a new magnet school for CVUSD! 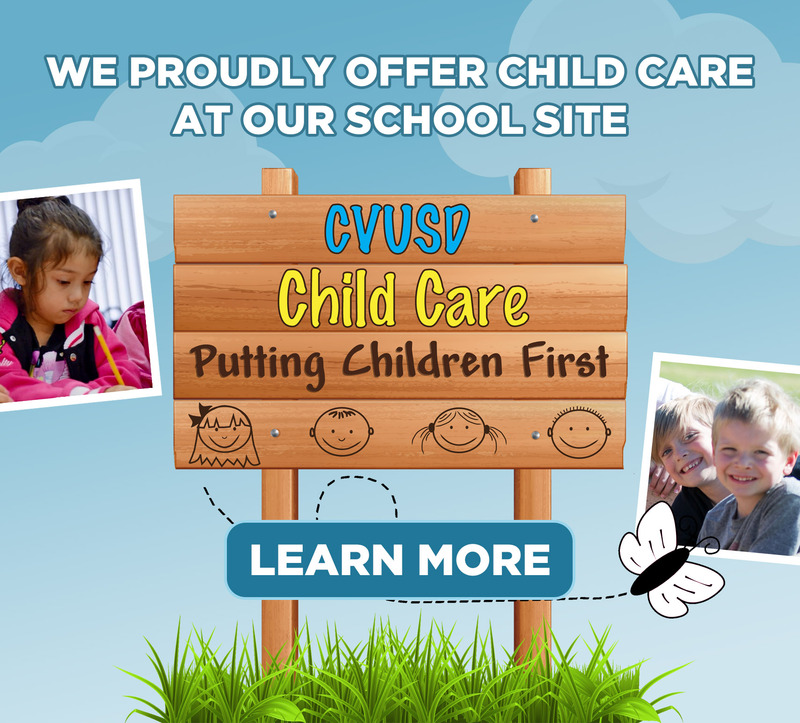 While neighborhood families have priority, there are also spaces for students through the CVUSD school choice process. Tours continue in 2019 on Thursday mornings at 9:00 am - 3/7, 4/4, 5/2. Please call the office to reserve a spot. Check out the Enroll tab for more information, and you can fill out a school choice application online beginning in November. We encourage you to explore our SEM tab for information about our school and how we use best practices in gifted and talented education to inspire and embrace #joyfullearning! Check out our grade level pages too! Interested in connecting with parents about matters related to special education services and supports for students with IEP's or 504 plans? Special Education District Advisory Council (SEDAC) representatives, Allison Murphy and Beth Neal, want to connect with you and hope you will join the conversation. Fill out this Google Form. Is your name in your sweaters and jackets? Check the Lost & Found today. Have fun, be safe, pursue your passions! Round 3 Clusters begin April 5! At Acacia, we believe in the strengths, passions, talents, and interests of our students, and we strive for joyful learning. We implement an approach called Schoolwide Enrichment Model (SEM) that is grounded in over 40 years of research and practice. It stems from best practices in Gifted and Talented Education and brings a student-driven focus to high level learning for all students. We believe that gifted education is not who you are, but rather what you do. Through the 3 E's of ENJOYMENT, ENTHUSIASM, and ENGAGEMENT we aim to cultivate self-directed learners who pursue their passions and create a successful future! REMEMBER - Every WEDNESDAY is an EARLY WEDNESDAY! TK/Kinder dismissal @ 1:00 and grades 1-5 dismissal @ 1:30 pm. PTA presents Uncle Chris's Italian Ice after school! Round 3 Enrichment Clusters begin! Grades 3-5 will do their annual CAASPP Testing May 13-24. Students will test about 3 mornings each week with one week focused on English Language Arts, and one week focused on Math (and Science for 5th grade). We know our students have worked hard all year and will do their best on the tests! Thank you for supporting PTA's biggest fundraiser of the year! You helped our students with your donations! Acacia's Schoolwide Enrichment Model (SEM) engages all students in interest -based, high level activities to enhance the existing curriculum. Local Control Accountability Plan (LCAP) - Our school district is stronger when we engage our staff, students, parents, and community in processes that assist with two-way communication. The California Assessment of Student Performance and Progress (CAASPP) test has replaced the Standardized Testing and Reporting (STAR), as the new state academic testing program. The CA School Dashboard aims to synthesize and make accessible a wealth of state and local data to help schools achieve better outcomes for California's students. Nondiscrimination Statement, Physical Education Requirements, Student Sexual Harassment, Title IX, Uniform Complaints, Williams Complaints. Discipline Policy and Procedures and Annual Notification of Rights and Responsibilities; Assembly Bill, Acceptable Use Policy. View the current CVUSD School Accountability Report Card (SARC). 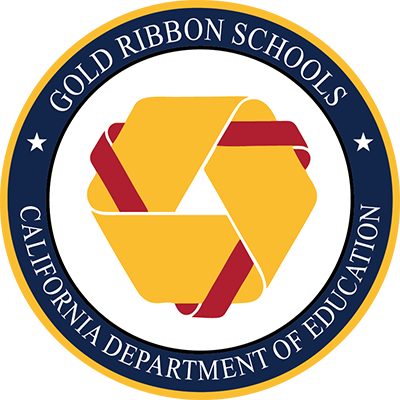 Acacia was 1 of 5 CVUSD Elementary Schools to receive the Gold Ribbon Award in 2016. This statewide distinction recognizes the strong and effective programs that Acacia provides students. Go Acacia! !